More than 60 years after it premiered, the iconic television sitcom “I Love Lucy” nabbed top honors with television fans in a survey conducted by ABC News and People Magazine for the best show of all time. 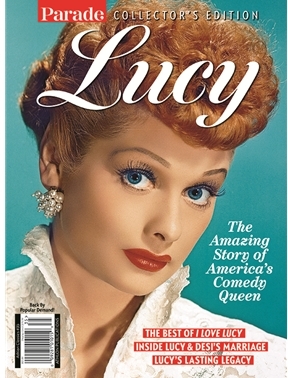 It’s no surprise that interest in show’s hilarious star, Lucille Ball, shows no sign of abating, either. In this super-sized special, we highlight the best episodes of the brilliant series, and reveal the details of what went on behind the camera in her personal life. While she was hilarious on screen, she was also a serious feminist icon, becoming the first woman to run a major television studio and producing two gigantic franchises that remain relevant to this day: Mission: Impossible and Star Trek. If you think you loved Lucy then, after reading this collector’s edition, you’ll love her even more.